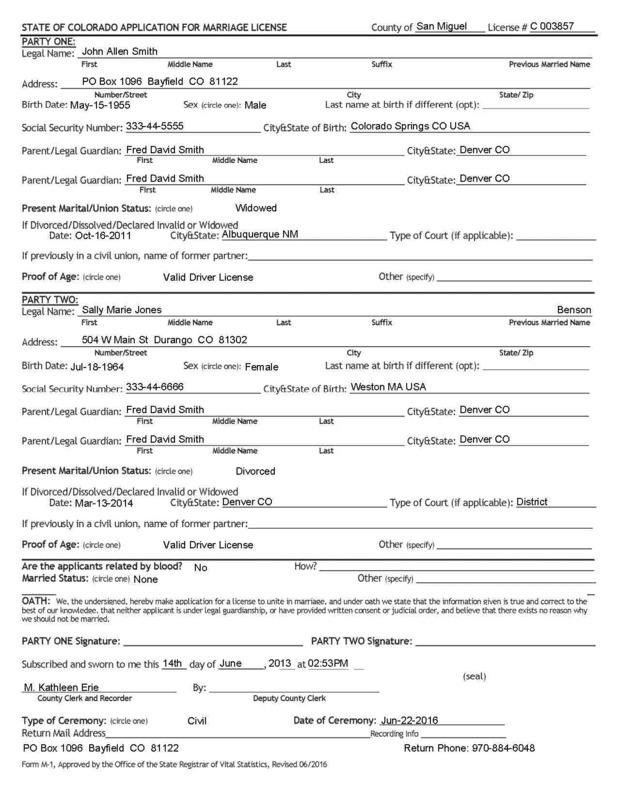 tcrMarriage issues Colorado marriage licenses. 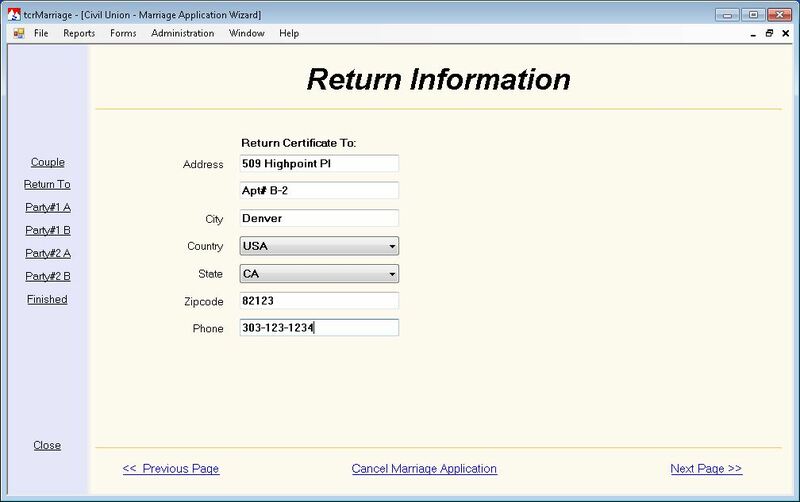 It captures marriage application information, prints an application for review and signing, prints the license/certificate and uploads data to the State when the completed license is returned. Click image to view tcrMarriage Picture Gallery. 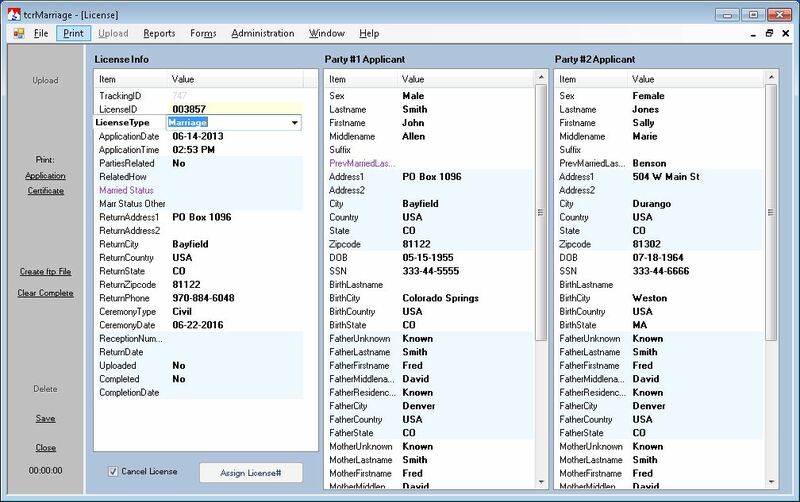 Data entry of application information is quick and simple. The user interface was created for speed with all information presented in a single view. 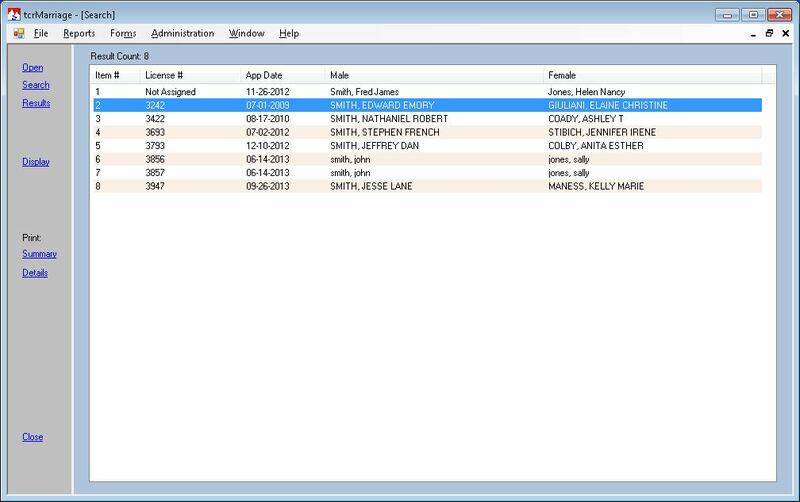 Marriage application data items are organized into logical groupings. 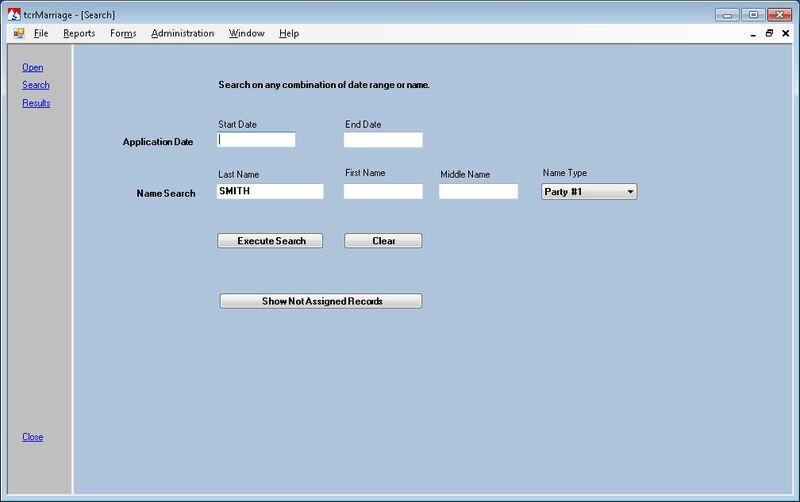 Type in text data or select an entry from pick lists, then hit Tab or Enter to move to the next item. There are color highlights indicating items have been skipped, this gives the Staff member a visual cue that items may need additional attention. All items required by the State must be completed or an Application cannot be printed. The result is a quick entry and accurate information capture. tcrMarriage includes a Public kiosk which allows your customers to enter the bulk of the marriage application information. The kiosk is broken into a series of screens, each capturing one group of information. The process was designed to be simple and obvious. Upon completion the application is saved to the database for final processing by Staff members. 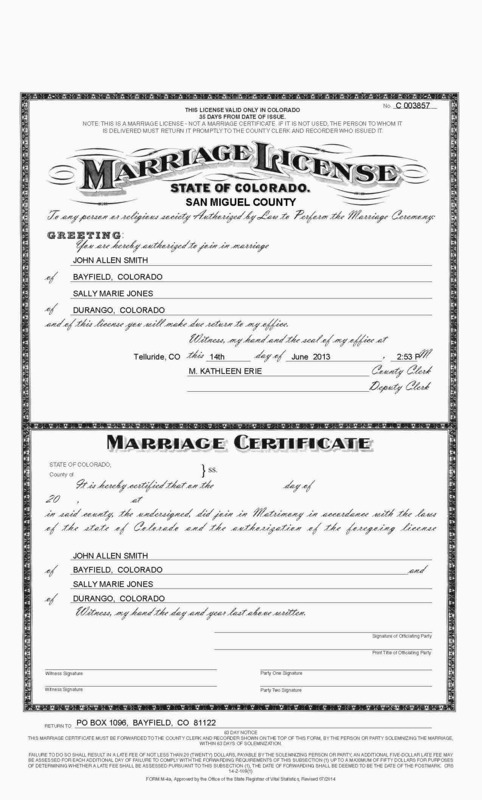 tcrMarriage prints a Completion Notes handout along with the Certificate that can be given to your customer. It shows the Officiating Party how to complete and sign the license correctly. This results is fewer licenses returned that have been incorrectly completed. When signed licenses are returned to the Clerk's Office for registration or recording tcrMarriage can be instructed to electronically send the marriage data to the State. No need to mail paper copies. tcrMarriage is bundled with our recording system, theCountyRecorder, at no additional cost. If you are not a recording system customer you can purchase tcrMarriage as a stand-alone product, please see our Price Sheet (PDF) for details.